hey guys, pictures will be posted today of my current project. second run on this particular strain I am doing. so, I came across a load of seeds from a friend to play around with, iv noticed phenoes. 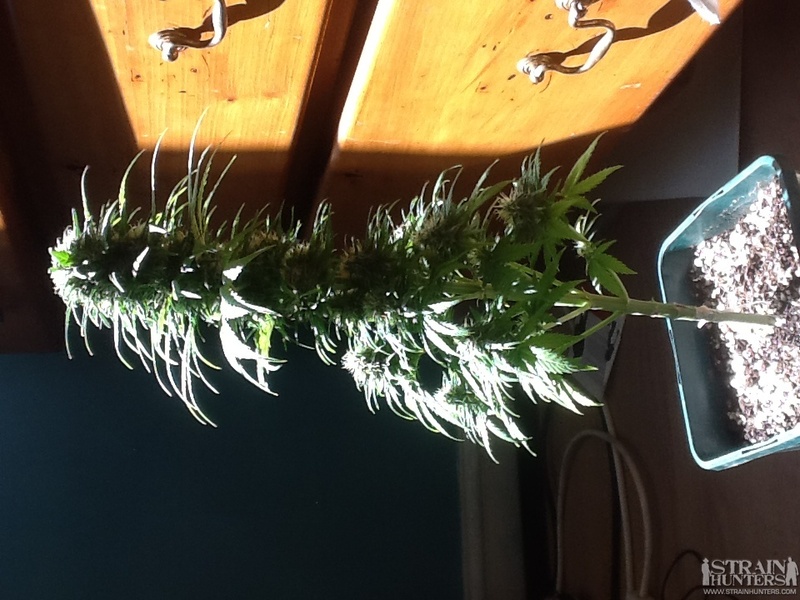 1 being really small but lanky, thin leaves bud incredible budding time, it starts with calaxes almost the same time as the preflowers, finishes in 6 weeks. pheno 2, heavy indica genetics, really sturdy, classic kush smell, no resin for the first 5 weeks, lots of white hairs and typically finishes a bit longer than the more sativa looking?? can't say why this happens as I don't know, but big yielder compared to the other 3 phenos, also, the best smell. 3, a short sativa, bud shape, smell, flowering style completely different from the other 2, sweet lemon smell, and really big crystals. 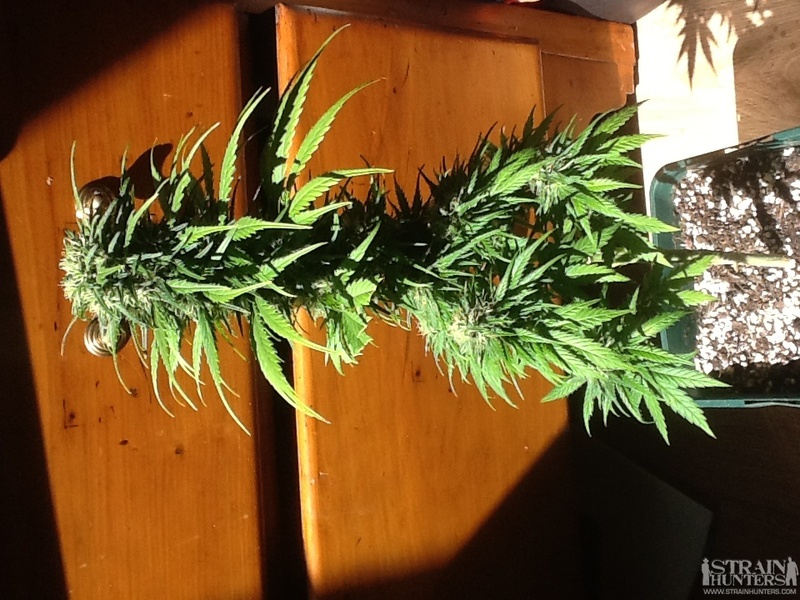 now, I kept a clone from the sativa dominant, and the indica dominant, the sativa was male, the indica was female, the seeds from this cross are now 6 weeks into flower, cutting kept from all. 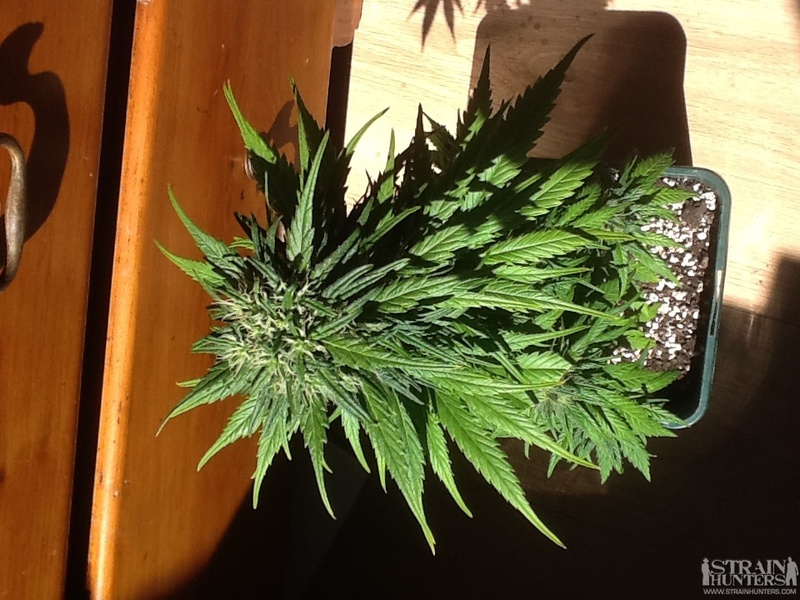 what I have now, seems a really nice hybrid of the 2, smallish hybrid leaves with really nice cone shaped lemony main cola which I lollypopped. il post pictures within a couple of hours, but for first try, im really enjoying it and have not been put of in the slightest, delving deeper into this world, and can't see myself turning back anytime soon. pictures to come. please, any tips will be greatly appreciated. right, im going to upload a picture of my first creation about 6 weeks into flower. She is a cross of the sativa dominant and the very indica. This one shows more of the indica properties but smells really really good and she is looking cushti! She is in a small pot and flowered from seed! bat guano, perlite and good potting soil. let me know what you think, breeders especially, their are loads of seeds from the cross so I think il continue to cross this with the most similar ones? here she is, let me know what you think, work in progress. suggestions for bulking up the strain? perhaps an 8-ball kush mixed in? Bro, that is a mighty fine plant you got there. She is a fat lady. I for one love your plant. I've never seen such an even fattening of buds. 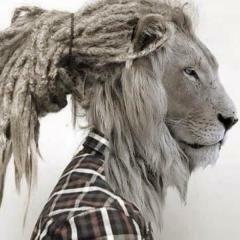 Is that typical of the kush ??? Sorry for sounding dunb but I have never grown a Kush before. See how the next generation grows. i would not change a bit only the growing technique - bigger pots especially and then try to to get the plant to a more sativa side, so it stretches a bit more. This is an ideal SoG candidate and it looks awesome. so don't try to get an all rounder from a low ryder if you know what i mean. The strength of this is the real fat big bud and so be it use smaller but deeper pots or grow them in pairs of two in a real big pot . 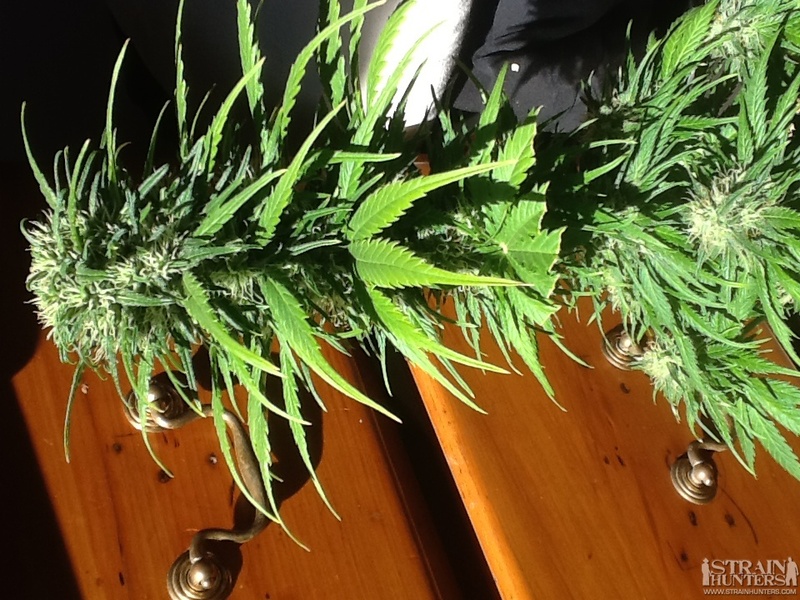 7.5 liters sounds perfect for 1 plant grow a dozen or 16 and you will have a massive yield ! That way you can breed faster, too..
Looks like a good project, wonder how they would do outside. Masterkush from Dutch Passion is still available in regular packs.